Before I became a life coach, I was making, changing, and striving to achieve goals constantly. From spiritual goals, to health goals, to reading a certain number of pages in a book a day- I was always on the hunt for the next thing that would help me achieve my dreams and be the person I wanted to be. Unfortunately I rarely achieved the goals and made a lot of excuses. It wasn’t that I wasn’t motivated or driven. It wasn’t that I didn’t want to achieve the goal, it was that the goals I made were holding me back. Ever made a goal that sounded like one of these? more like a demand; requiring striving, pain, and a lot of work. they make you feel heavy and weighed down from the start. Wouldn’t it be nice to have a goal that makes you giddy, excited, and look forward to the day you achieve it? There are a few tips and tricks I use with my clients to get them to that place, and I want to share them with you. Figure out who you are and what you really want. A few ways I like to do this are by meditating, journaling (use my free journaling guide meant for this exact purpose! ), or by talking with my coach. Heart-centeredness is about the deep, core values and desires, when not aligned with our lives, leave us feeling unfulfilled. Heart-centeredness is a state of peace in which life is aligned. It is when the choices we make line up with our values and our deepest desires. What is it that you want? In order to make clear and inspiring goals, you must know what it is you’re aiming for. Sure, you want to lose 10lbs, but what is the deeper goal behind that? How do you want to feel when you’ve achieved your goal weight? What do you want your life to be like in 6 months? What will change when your goal is met? 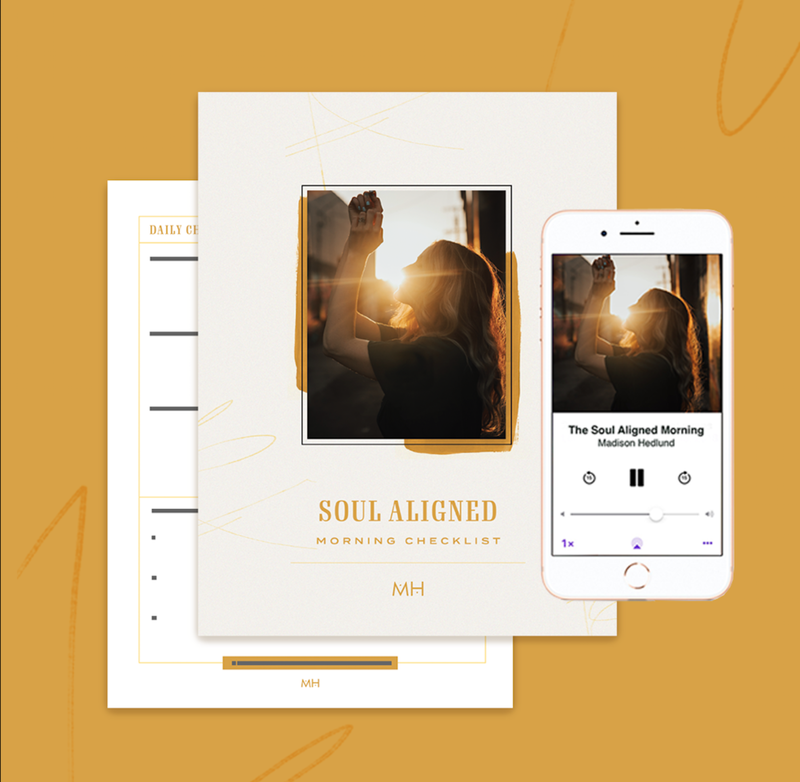 Danielle Laporte calls this your “core desired feeling.” It is the feeling underneath your goals, it’s the heartbeat of why you want what you want. Getting clear on your core desires will help you emotionally relate with your goal. Allow yourself to envision what life will be like when you achieve your goal and get really comfortable with it. Imagine what living out your “core desired feeling” would actually be like. Many of us create goals that we don’t believe we will achieve, even if we want to achieve them. Visualizing what life will be like when you achieve your goal is a great tool for when you’re unsure you have what it takes. PRACTICE: Close your eyes and envision your life in one year. What are you doing? Who are you with? What does your life feel like? Get connected to your vision and start to see it as a real possibility. This will help you train your brain to a new normal- you’re getting connected to the reality that your goal will come true. The words you choose when making your goals are very important. Words give life and meaning to our desires, and when you have strong desires for your future, the words you choose should reflect that. Keep the words in your goal positive and inspiring. Everything you’ve thought through, as you’ve gotten clear about and envisioned, write it down. Seeing it visually and getting your thoughts onto paper will help you reinforce your clarity and connection to what you want. When you land on the goal you want, write it down and put it somewhere you’ll see it every day. PRO TIP: Put your goal in your car, or make it your phone background! Nothing is worse than working towards a goal that makes you feel inadequate. You will face road bumps because goals stretch us and ask us to step into our highest selves. Stay loving towards yourself. Give yourself compassion. Reward yourself for progress and keep track of your successes! Setting goals with heart will not only help you create more meaningful goals (and ultimately a more meaningful life), it will help you achieve your goals with ease. Apply my goal setting tips and let me know how it goes for you; maybe even revisit your current goals and tweak them a bit! I can't wait to hear how you supercharged your goals by adding a little heart. WANT TO SET GOALS TOGETHER?! I would be happy to support you on your goal-setting journey in a 30 minute clarity call, helping you get clear on your goals and giving you a boost of energy to get going towards them! Oh, and it’s free. Reserve your 30 minute call here. If you are in Springfield, MO come The Bravery Board this Saturday 10am-noon at Culture C-Street. Emma Chapman of A Beautiful Mess and Bravery Board co-founder Kate Alsup are giving their expert advice on goal setting. Grab your tickets here. The Bravery Board is a local passion project I co-founded in March. We host monthly gatherings on topics related to mental wellness, personal growth, and thriving in community. It is a great place to get connected and be inspired. If you’re not local, you can still join the fun! Listen to past speeches here.